For those wishing to lead a fully sustainable lifestyle it is well worth investigating the use of alternative fuels to run your road vehicles. Vehicle emissions are second only in emitting harmful carbon dioxide output to the energy industry itself, accounting for 25% of all carbon emissions. Sustainable 'Alternative Fuel' is fuel that can be used to power an engine, whilst not depleting resources or contributing damage to the environment. A truly sustainable alternative to petrol or diesel will be able to replace its energy source as quickly as it is consumed. With some alternative fuels coming cheaper than petrol and diesel, and with tax incentives to use these alternatives, converting to environmentally sustainable fuels really can be a viable undertaking. 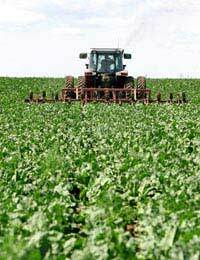 Ethanol, Methanol and Butanol, which are all sourced form fermented plant matter, most commonly sugar beet. Liquid Petroleum Gas (or LPG), commonly used to fuel camping stoves, is a naturally derived heavy gas derived from petroleum during processing and stored as a liquid..
Compressed Natural Gas (or CNG) is similar to LPG but is compressed in a gas, rather than liquid, form. Biofuel or biodiesel is made from oil extracts sourced directly from vegetables and plants, or from recycled household vegetable oil. It is relatively simple to run a car, fully or partially, on a sustainable fuel. Ethanol, Methanol and Butanol can all be mixed with petrol in small quantities (5-30%, depending on the fuel) to run a conventional petrol driven car. It must be cautioned that a petrol car cannot be run entirely on these fuels, and that running them even partially on alternative fuels may invalidate your warranty, should the fuel damage your engine (all of these fuels are more corrosive than petrol). Some petrol manufacturers produce petrol that already contains percentages of Ethanol or Butanol that are safe to use. Cars run on Ethanol, Methanol and Butanol are not common in England, but are widely used in countries where sugar crops are grown, such as Brazil. In the UK a bioethanol plant is being developed to convert sugar beet into Butanol. Methanol is currently an uncommon fuel, used occasionally for hobby and racing cars, but unlikely to spread much further, due to its low energy output. Using CNG and LPG will entail having your car converted for their use. There are currently very few CPG refuelling points in the UK and with CPG engines currently achieving a maximum of 250 miles on one tank, they are not currently a practical option for most drivers. However, if you live close to a refuelling point and will not be making long distance journeys, the very low cost of the fuel may make CNG worthwhile. LPG is also economically viable, though slightly more expensive than CNG. There is an extensive government programme, in conjunction with fuel companies, to increase the number of LPG providers in the UK. The cost of converting to LPG is currently around £1'500 - £2'500, which although expensive is worthwhile if you consider that fuel savings and tax breaks can lead to up to 60% savings in fuel costs. Both CNG and LPG vehicles are exempt from the London congestion charge. Biofuels made from vegetable and other plant oils can be used to power diesel vehicles, with no modifications the engine. 'Biodiesel' can be manufactured from waste vegetable oil making it completely carbon neutral (no carbon is expended in its production). Biodiesel costs around the same as conventional diesel, yet this can be offset against the fact that there is no cost in converting your existing diesel engine. EU and UK policy actively promotes the use of sustainable fuel in line with their commitment to reduce carbon emissions as signatories of the Kyoto Protocol on Climate Change. In 2005 the government laid out their plans for sustainable transport, in line with existing EU policy. Under these plans, it is hoped that 5% of all transport in the UK will be sustainable by 2010. There are also plans to bring in grants for private vehicle owners to help them convert to LPG, along with grants to help petrol suppliers install refuelling pumps for LPG ad biofuel.